For other people named Charles Barber, see Charles Barber (disambiguation). Charles Edward Barber (November 16, 1840 – February 18, 1917) was the sixth Chief Engraver of the United States Mint from 1879 until his death in 1917. He had a long and fruitful career in coinage, designing most of the coins produced at the mint during his time as Chief Engraver. He did full coin designs, and he designed about 30 medals in his lifetime. The Barber coinage were named after him. In addition, Barber designed a number of commemorative coins, some in partnership with Assistant Engraver George T. Morgan. For the popular Colombian half dollar, and the Panama-Pacific half dollar and quarter eagle, Barber designed the obverse and Morgan the reverse. Barber also designed the 1883 coins for the Kingdom of Hawaii, and also Cuban coinage of 1915. Barber's design on the Cuba 5 centavo coin remained in use until 1961. While much has been written about Barber being disagreeable and even hostile to Morgan, this has recently been conclusively disproved, with concrete evidence that the two had a warm personal relationship. This of course, makes perfect sense, as the two worked closely together for over 40 years. Again, contrary to what many people believe, Barber also had a warm personal relationship with President Theodore Roosevelt. While it is true that Roosevelt wanted U.S. coinage in the new century to have a more modern look, and also solicited designs from artists outside the U.S. Mint, this does not mean that he had a personal dislike of the man. The descendants of Charles Barber possess artifacts that prove a warm personal relationship existed. At the request of President Roosevelt and Mint Director George E. Roberts, Barber made a trip to Europe to visit a number of foreign mints on an information-sharing mission. His goal was to observe and discuss the practices at the foreign mints to look for ways to improve operations and efficiency at the U.S. Mint. He combined this trip with a family vacation with his second wife Caroline and his 19-year old daughter Edith. Barber carried with him memos from various departments within the mint with questions to ask their counterparts overseas. These memos, some of which today have Barber's hand-written notes, correspond to the various reports he submitted to Mint Director Roberts after his return (these reports are in the National Archives). Edith's diary from the trip provide details on their itinerary and personal reflections on her father. Barber was known to be a meticulous professional. While different people have varying opinions about the artistic merits of his designs, it is indisputable that his coin designs hold up to years of heavy use and wear. This is one reason that so many Barber coins exist in such low grades—they were real workhorses in the U.S. economy and were routinely found in circulation until the 1950s. In the end, Charles Barber was well liked and respected within the Treasury Department and the U.S. Mint. As evidence of this fact, the flags at the Philadelphia Mint were lowered to half staff on the day of his funeral. Roger Burdette provided a scan from the National Archives of the letter from Mint Director F. H. von Engelken requesting permission to half-mast the flags. Charles E. Barber is the last mint official of any rank to have had this high honor bestowed upon him. Barber was born in London on November 16, 1840, the son of engraver William Barber. 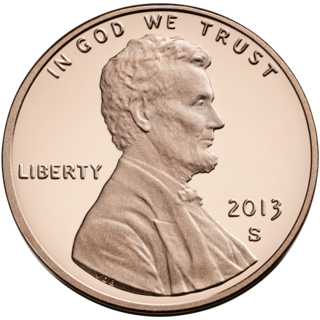 In 1869, he was appointed the assistant engraver at the United States Mint in Philadelphia. On January 20, 1880, he was appointed by President Rutherford B. Hayes to succeed his father in the position as chief engraver. He was frequently criticized for unimaginative designs, but R.W. Julian suggests that he "was capable of superb work when given a free hand." Barber's best known designs are the Liberty Head coins -- Barber dime, Barber quarter, and Barber half dollar, as well as the so-called "V" Liberty Head nickel. Some lesser known pattern coin designs include the trial copper-nickel cent, trial three-cent piece, and the $4 Stella "Flowing Hair" pieces. He was strongly critical of Augustus St. Gaudens' proposed high relief pattern for a new double eagle in 1908 and tried hard to stop them from being produced, citing the impracticality of the design. In reality, for a circulating coin, Saint-Gaudens' high-relief double eagle was entirely impractical as each coin required three to five blows of the dies to produce. Barber had to significantly lower the relief of the design to make a production-worthy coin. From 1907 to 1933, over 70 million "Saints" would be struck, impossible with Saint-Gaudens' original design. Personally, Charles Barber was married to Martha, who passed away in 1899. In 1902, he married Caroline Gaston (1846-1950), who was his wife until his death in 1917. Charles and Martha had a daughter in 1875, Anna May, named for Charles' mother. Unfortunately, the baby died in 1876. Ten years later, Charles and Martha had a daughter named Edith (1886-1970). Charles E. Barber died on February 18, 1917, and was buried 3 days later with Martha and infant daughter Anna May in Mount Peace Cemetery in Philadelphia. Barber was succeeded as Chief Engraver by George T. Morgan. ^ "Charles Barber". Smithsonian American Art Museum. Retrieved 2018-04-30. ^ a b c Frost, John (Fall 2018). "In Search of Charles Barber, Part 3 - Rewriting the History Books". Journal of the Barber Coin Collectors' Society. 29, #3: 20–29. ^ a b c Frost, John (August 2018). The Numismatist. Reimagining the Barbers. American Numismatic Association. pp. 49–61. ^ Frost, John (Summer 2018). "Searching for Charles Barber, Part 2 - The European Trip of 1905". Journal of the Barber Coin Collectors' Society. 29: 20–29. ^ The Numismatist. American Numismatic Association. 1995. ^ American Journal of Numismatics, Volumes 17-18, 1883. ^ Julien, R. W. (March 2018). "Charles Barber's dime: Mint engraver's design appreciated by dedicated collectors". Coins Magazine. ^ Numismatic Guaranty Corporation. 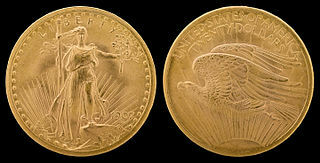 "St. Gaudens $20 (1907-1933)". Numismatic Guaranty Corporation |. Archived from the original on 29 July 2013. Retrieved 29 July 2013. ^ Frost, John (August 17, 2018). "Fascinating New Discoveries regarding Father-Son Mint Engravers William & Charles Barber". ANA Money Talks. ^ Frost, John (Spring 2018). "Searching for Charles Barber, Part 1". Journal of the Barber Coin Collectors' Society. 29: 20–27. Evans, George Greenlief (1885). Illustrated History of the United States Mint with a Complete Description of American Coinage. George G. Evans. Stauffer, David McNeely (1907). Biographical sketches, illustrated. Index to engravings described with check-list numbers and names of engravers and artists. Grolier club of the city of New York. Du Bois, Patterson (1883). "Our Mint Engravers". American Journal of Numismatics, and Bulletin of the American Numismatic and Archaeological Society. 18 (1): 12–16. JSTOR 43584447. Adams, Edgar H.; Raymond, Wayte (1917). Coin & Medal Bulletin, Vol. 2, No. 3. Washington University Libraries. Edgar H. Adams and Wayte Raymond.